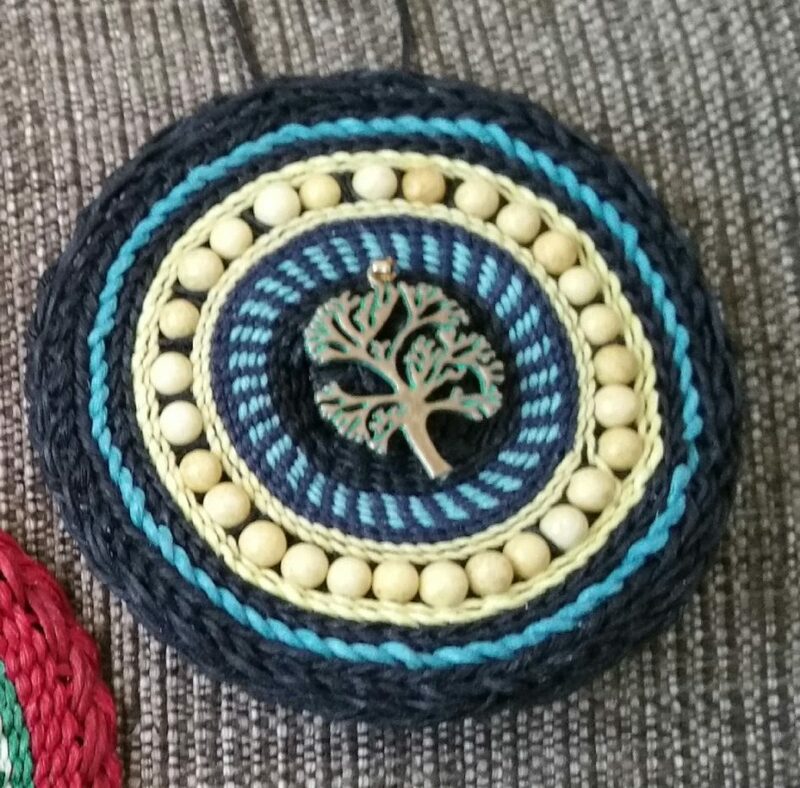 Twined ornaments with charms and/or 6mm accent beads. 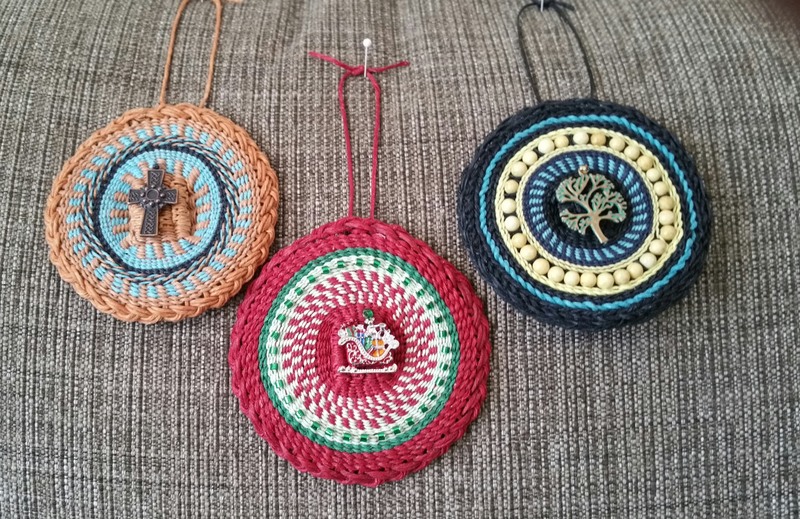 This years’ featured ornaments are twined with various adornments. Gemstone beads, Charms, fringe beads and other embellishments are determined by the size of the ornament. They range in price from $15.00 for the smaller circles to $25.00 for those that have glittery charms and Swarvski crystals. 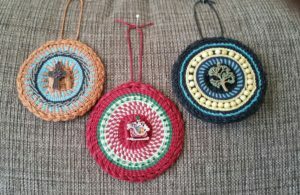 I’ll have a few seed bead ornaments available, and will continue to offer my Heritage Ornament series. These are custom beaded with a variety of information – wedding date, graduation date, birth date, hearts, diamonds, Ravens, etc. Price is based on how detailed the pattern is. It’s going to be a busy year, so get your order in for your Heritage Ornament no later than September 15th if you need a Christmas delivery or 60 days prior to a wedding or special event.